The Battle May Not Have Been Your Choice, But The Outcome Can Be! You may not have chosen sickness, poverty, depression, or whatever your current battle may be, but you have all the power and authority you need to choose how the battle is going to end! In this powerful teaching, Dr. Jesse Duplantis will show you how to overcome life's battles by focusing on the finished work of Jesus Christ. You'll discover the peace of God as you learn to cast your cares on Him and move the battle from the flesh realm to the spirit realm. As Jesse says, "Faith is based in God's power, not your power." Learn how to fight for faith, instead of against faith, and consistently use the Word of God in times of trouble. 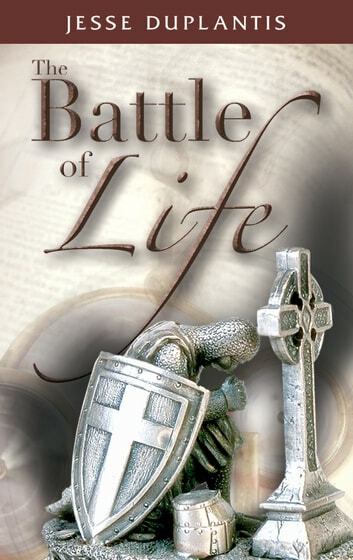 Learn how to win at the battle of life. Very true word s. A good reminder that we are not alone in our struggles and that we have been given all the tools we need to overcome nad be victorious. Right on point .correct focus very encouraging Lord God has the last say which is his power . wisdom of man verses the power of God which one do you want to rest you faith on ? A perfect summary of faith for anyone who feels muddled by what it means!